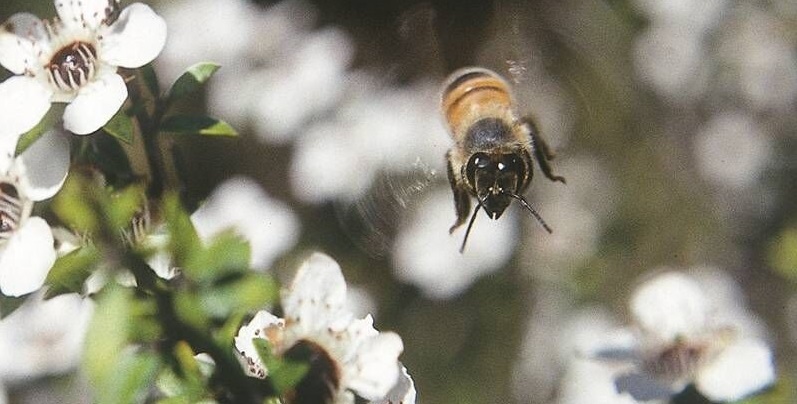 With demand for Manuka honey high, the interest in Manuka establishment for honey production is also increasing. Last year, a significant proportion of the land that was established in trees under the Afforestation Grant Scheme was planted in Manuka. A summary of the basic requirements and recommendations for Manuka establishment has been compiled as a starting reference point for landowners considering establishing Manuka on their land. 20 hectares is the minimum area recommended by Manuka Farming NZ for growing Manuka and producing high quality Manuka honey economically. The recommended stocking rate is 1100 stems/hectare – trees planted at a spacing of 3m by 3m. Manuka seedlings selected to produce high UMF factor honey from Manuka Farming NZ are $0.75/seedling. This is for all the current cultivars, freight is an additional cost. On weedy sites or recent cutover sites a pre-plant spray will usually be required before the seedlings are planted. At least one post-plant weed spray will also be required. Pest control to minimise browse from deer, goats, possums and hares needs to be considered. Stock must be excluded from the planted area. Manuka can be planted on flat, rolling and steep land. Manuka plantations are eligible for funding under the Afforestation Grant Scheme(AGS). The AGS provides $1,300/hectare to successful applicants towards the establishment of trees on their land in return for the first 10 years’ worth of carbon credits. Applications for the next AGS funding round open on 27th April for land which is to be planted in 2017. Cultivar selection is highly important in establishing a successful Manuka plantation. Manuka Farming NZ can provide expert advice on the selection of cultivars to best suit your site location, terrain, block size and goals. For more information refer to their website www.manukafarmingnz.co.nz. The establishment phase is crucial to the success of any plantation and it is essential that the planting and associated operations are performed to best practice standards and managed well to maximise the investment and minimise risk. PF Olsen is an experienced forest manager with knowledge in the establishment of Manuka in many areas of New Zealand. This is enhanced by our newly formed partnership with Manuka Farming NZ. PF Olsen can provide plantation management services to landowners and can also assist with AGS funding applications for landowners looking to establish trees in 2017. For further information on Manuka establishment or AGS funding applications please email Kimberly Evison at PF Olsen, or phone 07 921 1010.